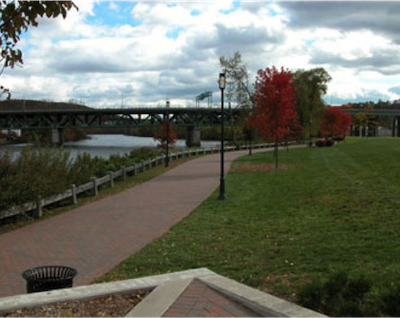 VN Engineers Inc. is providing traffic engineering services as an On-Call subconsultant to Stantec Consulting for the Preliminary and Final Design for List 20 and 21 Bridge Rehabilitation Program. I-691 Westbound over Lewis Avenue, Meriden, CT. State Project No. 79-230. Design of Maintenance and Protection of Traffic. SR 848 over Naugatuck River and Naugatuck Railroad, Thomaston, CT. State Project No. 140-167. Design of Maintenance and Protection of Traffic. Rte 15 over Riversville Road in Greenwich, CT. State Project No. 56-304. Design of Maintenance and Protection of Traffic. Society Road over I-95, East Lyme, CT. State Project No. 44-152. Design of Maintenance and Protection of Traffic. Rehabilitation of Bridge 03021 I-91 over US Route 5, AMTRAK and Ferry Street, New Haven, CT. State project No. 92-612. Design of Maintenance and Protection of Traffic. VN Engineers Inc. is providing traffic engineering services as an On-Call subconsultant to Stantec Consulting for the Preliminary and Final Design for List 22 - 24 Bridge Rehabilitation Program. Rehabilitation of Bridge No. 02376, I-84 TR 831 over I-84 EB, East Hartford, CT. State Project No. 42-316. Design of Maintenance and Protection of Traffic. Rehabilitation of Bridge No. 01018, Route 53 over Saugatuck River, Redding, CT. State Project No. 116-133. Design of Maintenance and Protection of Traffic. Rehabilitation of Bridge No. 01023, Route 57 over West Branch Saugatuck River, Weston, CT. State Project No. 157-83. Design of Maintenance and Protection of Traffic. Rehabilitation of Bridge No. 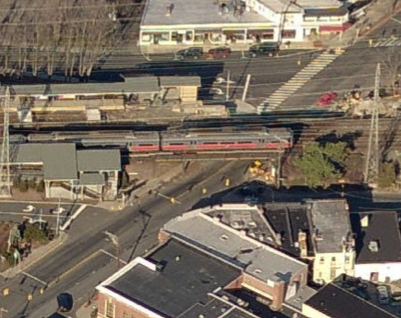 00732, North Ave over Route 15, Westport, CT. State Project No. 158-208. Design of Maintenance and Protection of Traffic. VN Engineers, Inc. was a subconsultant responsible for traffic counting program, Operational & Capacity Analysis of several Maintenance and Protection of Traffic scenarios using SYNCHRO software. Maintenance and Protection of traffic design for several schemes including one-way alternating traffic and complete closure of the roadway underneath the Saga Bridge. Field review of several possible construction staging area sites. Drafted structural detail sheets. Prepared PE report detailing the findings of the Operational and Capacity Analysis. VN Engineers, Inc. was also geotechnical consultants for the proposed bridge rehabilitation. 1) Review the existing conditions and pertinent geotechnical data, 2) Provided geotechnical recommendations regarding soil strength parameters, allowable soil and rock bearing capacity and provide recommendations regarding the proposed reconstruction methods as they pertain to the overall structural stability, and 3) Provided recommendations regarding additional explorations which may be required; including locations, depths and sampling procedures. Following review of the available subsurface explorations, laboratory analyses and proposed rehabilitation scenarios, VN Engineers prepared a detailed Preliminary Soils and Foundation Design Report. The final design of this project started in August 2007. Performed Boring Stakeouts, supervise and coordinated final S.S.E. Program in the field, prepared and analyzed field and lab data. Prepared Structure Geotechnical report. 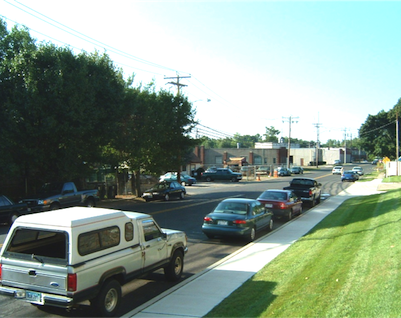 VN Engineers, Inc. was a subconsultant responsible for Operational/Capacity Analysis for two signalized intersections. Using Highway Geometric Design Criteria such as but not limited to: capacity, intersection sight distance, design vehicle, lane arrangements, lane widths and volumes etc. designed final design drawings for two signalized intersection. Developed plans, special provisions and details for the installation of the signals. 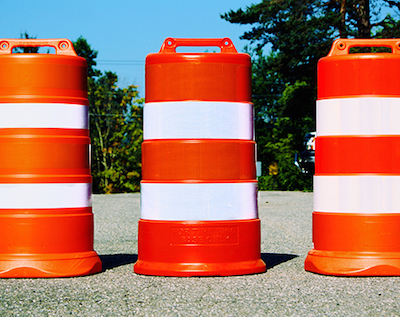 Designed Maintenance and Protection of Traffic Plans, Pavement Markings and Signing Design. Prepared preliminary and final ground mounted and overhead signing and pavement marking plans, including guide signs regulatory signs and warning signs as well as any other signs required for the freeway corridor, ramps and local streets. Developed quantities, special provisions and proposal estimate. The Commodore Hull Bridge (Bridge No. 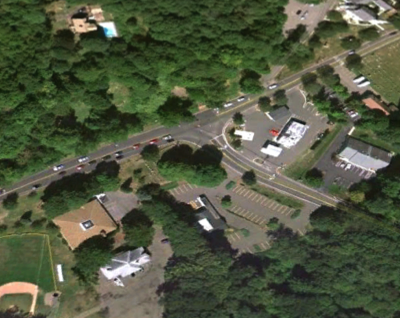 00571A) carries Route 8 over the Housatonic River, Hull Street, and Howe Avenue (Route 110) in Shelton/Derby, Connecticut. VN Engineers responsibilities included the development of multi-phased short-term (work zone setup on weekends only) maintenance and protection of traffic plans to accommodate the reconstruction of four bridge joints across northbound and southbound lanes. 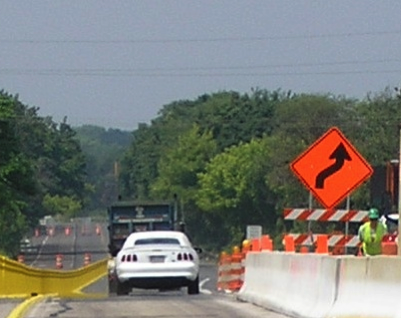 The design included ramp and lane closures, advanced signing, VMS layout, temporary traffic control devices for the work zone, specifications, and estimate. VN Engineers, Inc. was a subconsultant to AECOM and was responsible for the Maintenance and Protection of Traffic Plans and Signing and Pavement Marking designs. VN Engineers prepared preliminary ground mounted and overhead signing and pavement marking plans, including guide signs regulatory signs and warning signs as well as any other signs required for the train station, kiss and ride, and local streets within the project limits. Prepared quantities and special provisions. VN Engineers, Inc. was a subconsultant responsible for Operational/Capacity Analysis for (2) two signalized intersections. Using Highway Geometric Design Criteria such as but not limited to: capacity, intersection sight distance, design vehicle, lane arrangements, lane widths and volumes etc. designed final design drawings for one (1) signalized intersection. Developed plans, special provisions and details for the installation of the signals. 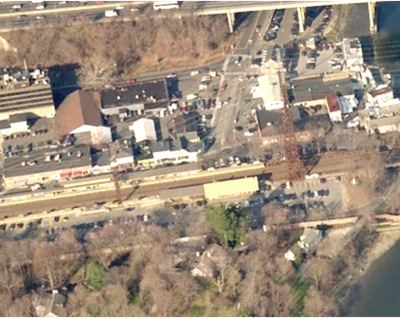 Redesign and geometric improvements to Route 1 as dictated by new under-bridge clearance at the Metro-North Bridge. Complex Maintenance and Protection of traffic scheme with multiple stages in removal of old bridge and building of new bridge while trains remained in service. Prepared preliminary and final ground mounted and overhead signing plans, including guide signs regulatory signs and warning signs as well as any other signs required for the freeway corridor, ramps and local streets. Developed quantities, special provisions and proposal estimate. Prepared design drawings for preliminary and final pavement markings Developed plans, quantities, special provisions and proposal estimate. Prepared design of Maintenance and Protection of Traffic including plans, quantities, special provisions and estimates.